The Championships at Wimbledon are a thoroughly British affair that extends far beyond Centre Court. Strawberries and champagne in the park, sunny open-air match screenings, the occasional Pimms cocktail with friends and the question on everyone’s lips is, ‘who’s winning’? 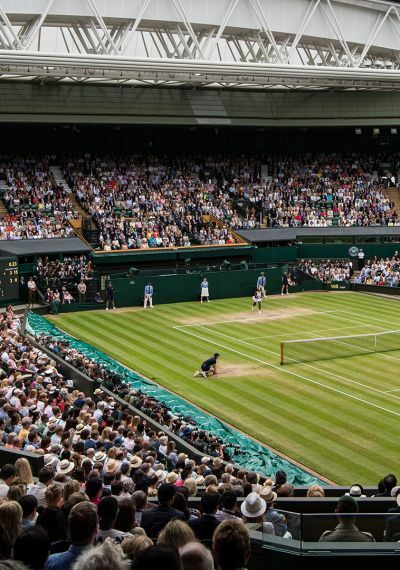 Find out what makes the oldest tennis tournament in the world so special. Check out our 14 fun facts about the tournament and if you're lucky enough to nab a ticket for The Championships, read our 9 top tips for your trip below. Get to know Wimbledon, the history, the outfits and more on the VisitBritain blog. Watch and experience the spirit of Wimbledon!